I could introduce this book by telling you it was written by a dear friend, I know some of the individuals interviewed, and I wrote the Forward—but I’d rather tell you it is inspiring reading for anyone who is interested in aging, creativity, and self-expression. A central theme of Judith Zausner’s career has been creativity. Her early employment included fabric design and work as an occupational therapist. Because she found activities and materials for people with handicaps were limited, she formed a business and website Caring Crafts that sells kits and safe tools. Her interests in creativity and disabilities led her to present talks highlighting famous artists with disabilities and workshops that give participants an opportunity to engage in creative activities. 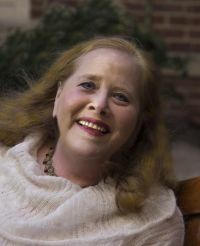 Her professional activities led her to write articles about artists, people with disabilities, older individuals, and aspects of creativity in general. The award-winning articles in her blog Creativity Matters focus on the benefits of creativity and older adults. What I love about her book, The Creative Landscape of Aging, is it is an organic product of her career to date. Zausner’s book is a compilation of the essays she has written for her blog, her interviews with accomplished older artists, and a “gallery” of photographs of artwork created by people she has interviewed. The Creative Landscape of Aging is engaging, easy-to-read, and supports the benefits of creativity. Zausner’s writing style is straightforward, demonstrates her hands-on knowledge of the subject, and presents literature on creativity and aging. While we may all “know” creativity is good for us, it is inspiring to read interviews with mature creators that support this view. It is a book I wish had been available when I was doing my research on the subject! Zausner’s skilled interviews with older artists give us a glimpse of their creative process and the role creativity plays in their lives. Her interviews include Yvonne Bobrowicz, an internationally acclaimed fiber artist; Jim Bogle, Asian art collector, author, and historian; Betsy Hershberg, a bead knitter; Judith Leiber, a creator of handbags now in museums worldwide; Isaiah Zagar, a mosaic muralist; and Nelson Shanks, a realist painter and teacher. The Creative Landscape of Aging also has an interesting Saybrook connection. Judith is the sister of Tobi Zausner—artist, psychologist, and a Saybrook faculty member in the Psychology and Interdisciplinary Inquiry department. I met Judith through her sister, Tobi, when she visited Philadelphia to participate in a creativity and aging conference. Tobi Zausner is author of When Walls Become Doorways: Creativity and the Transforming Illness. I highly recommend Tobi’s book and have given it to creative friends facing health challenges. Judith’s book includes research Tobi has done, an interview with her sister, and photographs of Tobi’s spectacular art work in the “gallery” at the end of the book. Qualities Tobi found in artists facing physical and health challenges include hardiness, resilience, self-efficacy, mastery, perseverance, the ability to manage stress, the urge to create, and a focus on the future. These qualities are consistent with those I found when I interviewed creative older individuals. Another interview Judith Zausner conducted with Dr. James Gambone, filmmaker and gerontologist, raises serious concerns our country is avoiding concerning the looming long-term care crisis. In a documentary, The Journey Home, Gambone prompts us, as individuals, to consider what kind of elder care will be in our future. Gambone states that “as the baby Boomer generation enters the year 2030, more than 30 percent of our population will move toward either semi-dependent or fully dependent living conditions” (Zausner, J., p. 163). This is a demographic “time bomb” and will be the first time in our modern history that such a significant demand is placed on our institutional and governmental systems. Unfortunately, many of us deny our own aging and resources that may be required for care we will need; national leaders refuse to address this looming crisis because it is considered political suicide. Judith Zausner’s interviews include Alice and Richard Matzkin, painter and sculptor respectively, who explore their own aging in their work. Their book, The Art of Aging, presents their art and is a personal odyssey on their “ongoing efforts to come to terms without fear and yet curiosity about the process of aging, growing old and dying, and ultimately, our desire to live meaningful lives” (Matzkin, p. 9). In Zausner’s interview with the Matzkins, Richard says they want to pass on some of the things they have learned to Baby Boomers during this important time of life. “It is a gift.” He says, “The whole of our life is our work of art whether we use paint or clay as a medium of expression. Our real art is how we live day to day. It is how we live with integrity, how much of ourselves we give to our work, to the people we love, and to our world” (Zausner, J., p. 210). The creative adults I interviewed for my research described creativity as a “gift” and a “blessing.” Judith Zausner’s The Creative Landscape of Aging is a gift. Not only does it present how creativity enriches our lives as we grow older, it presents issues we must confront if we want quality of life for our aging population. Matzkin, R. & Matzkin, A. (2009). The art of aging. Boulder, CO: Sentient Publications. Zausner, J. (2015). The creative landscape of aging. Zausner, T. (2006) When walls become doorways: Creativity and the transforming illness. New York, NY: Harmony Books.